The Burnley and Pendle Methodist Circuit formed in September 2017 is made up of sixteen Methodist churches. We are a lively, progressive, forward thinking circuit that is involved in many church and community events. We hold Christ Jesus at the very heart of what we do. Within the website are links to the circuit Churches and their events and our core beliefs. We would like to invite you and your family along, make new friends and see what it's really like to be a Christian in the 21st Century! 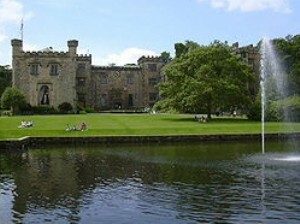 Burnley and Pendle have a rich heritage as an Industrial area and have many beautiful parks, museums and Galleries. Burnley and Pendle regularly hold festivals in the Summer months and has a lively nightlife. The wonderful thing about our towns, churches and circuit is the people, and we are looking to draw more people, young and old into our churches to hear the gospel of our Lord Jesus Christ and his message of salvation. Why not pop along one Sunday morning to one of our Churches within the circuit that is near to you?